Hebert’s Caboose Ice Cream Shop has been dishing out scoops of Blue Bell since owners Lonnie & Deanna Hebert bought, refreshed and reopened the shop in 2013. 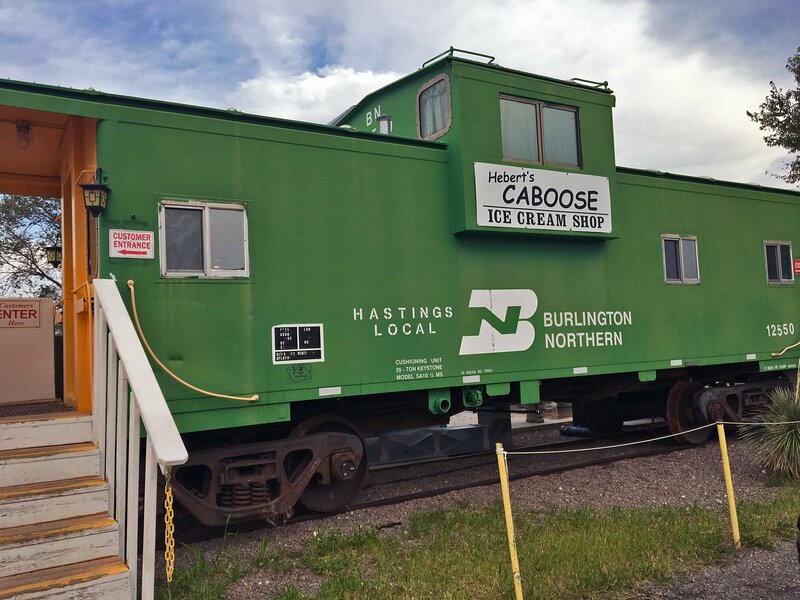 Lonnie & Deanna bought a nearby antique shop and the caboose was included in the deal after it had closed 3 years prior. Hebert’s can be found near the entrance to Fort Davis National Historic Site.